Prior to this UEFA Cup second round 2nd leg tie, manager Jim McLean's main concern was an ankle injury that international striker Paul Sturrock picked up in training before the squad departed for Holland. There was also a fitness doubt with Derek Stark, however both players were declared fit and it was an unchanged team that took the field at the Philips Stadium, with United needing a victory to go through. 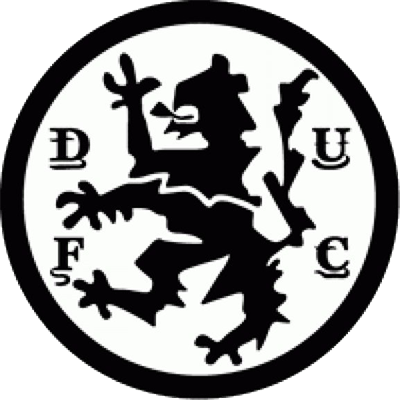 Having conceded a vital away goal in the 1-1 draw at Tannadice, United needed a victory to go through to the next round, and their early attacking play paid off with a goal after just five minutes. After a neat Sturrock-Bannon move on the left, the winger's cross was chested down and volleyed past Pim Doesburg into the net by Billy Kirkwood. The Dutch first division leaders were clearly stunned and hit back almost immediately. It took a superb Hamish McAlpine save from Ton Lokhoff to deny the home side the equaliser. A passing movement from United brought the normally partisan home support to their feet in appreciation, but even better was to come when United scored again in 29 minutes. Another Bannon cross was dummied by Ralph Milne for Paul Hegarty to shoot home from seven yards. United were denied a third goal after a linesman's flag halted the celebrations after Bannon had netted from a Dodds pass. 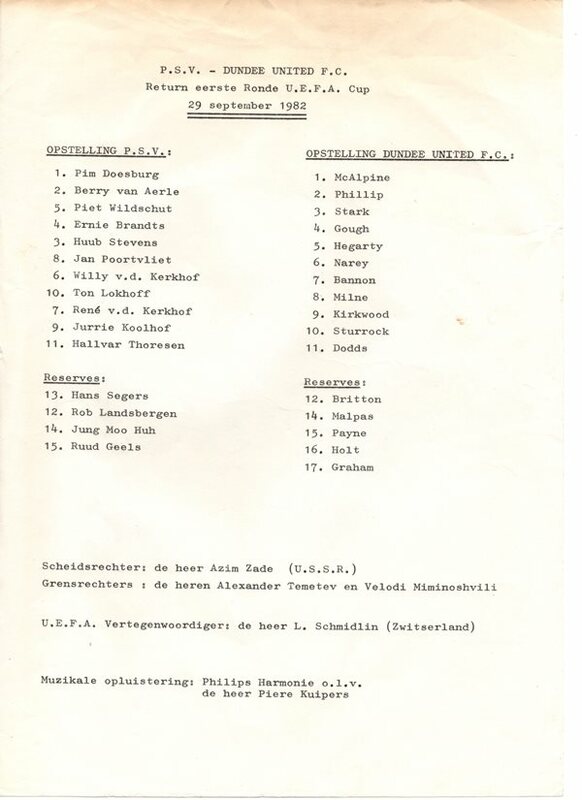 The desperate Dutchmen replaced Lockhoff with Rob Landsbergen on the resumption and within minutes of his introduction the newcomer was involved in an incident with Dave Narey. The Scotland defender was sent tumbling in his own box by a late tackle and required treatment as the Dutch forward was lectured by the referee. 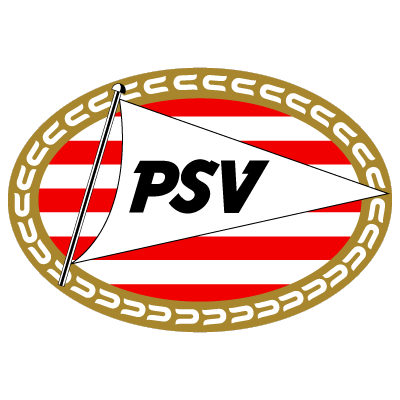 PSV's other substitute, South Korean Jung Moo Huh was booked after a similar bad tackle on Davie Dodds, as the Dutch sides frustrations got the better of them. Despite several frenzied attempts by the home side to get back into the tie United played out time with the controlled comfort of a class side. The 3-1 aggregate score meant that United progressed with a famous victory, and in doing so became only the second visiting side to defeat PSV on their own pitch in 27 years of European involvement.